Many of the pictures presented here are scans/copies from the books above. In addition, I’ve sourced a number of pictures from Museum Africa where I have paid for the usage rights for this blog. There are also many of my own pictures, some from readers and others sourced randomly from the internet. I have credited where possible but not always. Should anyone need to know the source of a picture where I haven’t credited the source, please feel free to drop me a mail. Should there be an issue with a picture, please let me know and I’ll rectify. 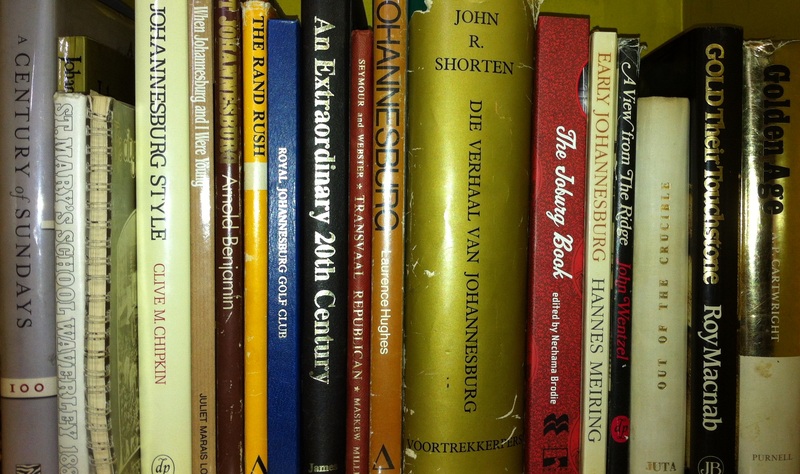 I used to visit the Johannesburg public library all the time as a child during the late 80s. I remember being fascinated by the framed pictures on the wall, most of which were of Johannesburg’s centenary celebrations in 1986. I remember I was in standard 2 at the time, so that would have been in 1989 and I remember wishing I could have been white so that I could have been present during those celebrations. I was in Std 6 in 1986 and don’t remember any celebrations at all. I know they took place now from the books, but at the time I had no idea. Although I was fascinated by certain old houses and buildings growing up, it was only in 2010 that I really became acquainted with the history and am still learning more every day. This is the most wonderful website. I am so enjoying looking at your photographs and reading the stories. Thank you. Family history is my hobby but my people are all British. My husband has South African family and I was searching for Turffontein where they lived at the turn of the last century and came across this wonderful site. Thank you! When I was a student at Wits in the 70s, I had a part-time job at the Roodepoort Municipality. 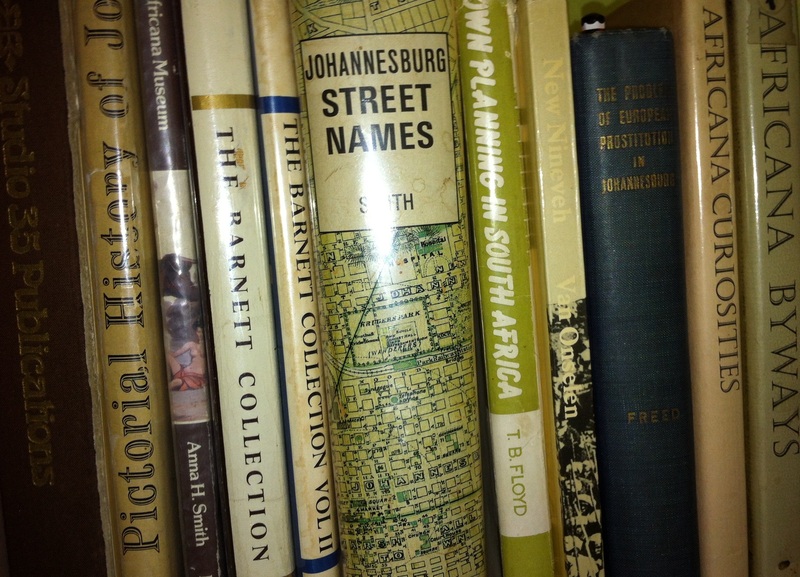 The then Town Planner, Colin someone, had an autographed copy of Smith’s Street Names. Since then I borrowed the Rhodes Park Library copy a few times, until it got stolen. I’d love to get a copy, but I believe it’s difficult to find and probably too expensive for me…. With regard to the Victoria Methodist Church, Jules Street, Jeppestown, a history of this church has recenty been published. It is in the ‘HISTORY OF THE JOHANNESBURG EAST CIRCUIT’ which was edited by James Massey for the Mehtodist Church of Southern Africa. My parents worshipped and met at the ‘old’ Victoria Church, and I attended Sunday School there from 1943. On 28th March, 1954, the Valedictory Service was held, and the following Sunday the congregation gathered outside the Old Victoria, walked through the streets from Jeppestown to the new premises (only church hall built at that stage) in Main Street, Belgravia, just off Berg Street. In the same volume is the history of the Bertrams Methodist Church, which was also founded in the early days of Johannesburg – 1896. My grandmother, a Rand Pioneer, was a founder member of Bertrams Methodist. Thanks, Mavis. I did come across that document while researching the piece. It helped clear up some details. cant get over your blog. there is so much that i didn’t know, and to read about it , is just amazing and to see the photos. thanks. Excellent work. I love history and I’m also interested in my suburb of Robindale in Randburg. Is there any info on the history of Randburg? Even Blairgowrie would be great.